In a review published in 2008 in Ecology Letters, David Lindenmayer and a long list of co-authors discuss some of the most important concepts used in describing, understanding and managing biodiversity and ecological processes at the landscape scale. These include classifying landscapes into habitats, describing and assessing their internal structure and condition, describing their disposition in space and time as well as their connections and hedge-effects. Their review of these concepts is relatively broad but difficult to follow. It does not offer a very satisfying conclusion, except a worthwhile attempt to synthesize how these concepts relate to each other in a box-and-arrow diagram. Each one of these issues is discussed in the paper and although they might seem trivial to some, lack of time or expertise often means they are not appropriately accounted for in the design of conservation policies. This situation makes the paper a useful reminder! The authors conclude by listing some key research topics including the challenge of making the enormous mass of ecological knowledge relevant to on-the-ground management of ecosystems and biodiversity. That’s a hard one! Is there a place for a binding “duty of care” for biodiversity conservation? A recent article by G. Earl, A. Curtis and C. Allan in the journal Environmental Management discusses the feasibility of imposing a duty of care for biodiversity to land owners and land managers. 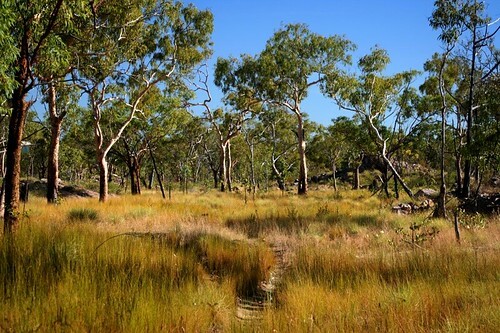 They explore the specific case of Australia but many of their ideas resonate with the broader issue of developing an appropriate policy mix for conserving biodiversity outside protected areas. The authors argue that as an established legal principle, “duty of care” (rather than the looser moral obligation of “stewardship”) can relatively easily be applied to biodiversity. A government report published in 2001 also addressed this issue and the authors make an important contribution in proposing guidelines for actually implementing a duty of care policy. One of the key points discussed in the article is that of setting clear goals for biodiversity: “desired outcomes” that must be set at the catchment or landscape level (or whichever administrative or management unit is appropriate). Establishing such goals would be a requirement for a duty of care policy but would of course be very useful to a whole suite of existing policies (including those based on the evaluation of impacts on biodiversity). The authors also argue that this desired outcome should probably be based on the maintenance of the ecosystem or landscape level processes that underpin biodiversity (as well as ecosystem services that are important to humans). However, they recognise that many of these are little known or hard to measure and that appropriate indicators might often rest in identifiable biodiversity components (species presence or abundance, habitat acreage…). The framework conforms with much of the current dialogue concerning biodiversity conservation across landscapes, in seeking to articulate quantifiable and ‘‘biophysically meaningful’’ desired outcomes for biodiversity that incorporate measures of size, configuration and connectivity of habitats, as well as vegetation condition measures that collectively act as surrogates for ecological processes. This dialogue is very much at the centre of any policy aimed at stopping biodiversity loss or improving its status, be it stewardship, duty of care, offset schemes or top-down command-and-control rules and regulations. Bob Searle and Serita Cox of the Bridgespan group recently published a report on “the state of ecosystem services” (pdf available here). The report analyses the current use of the ecosystem service concept in practice, i.e. in public policies and private sector initiatives. Many of the report’s conclusions are well know to people in the field of ecosystem service science, but several points deserve to be mentioned. For a start, the report concludes that ecosystem services conservation is between proof-of-concept and early adoption. Never more. Often less. The issue of standardization is often overlooked by ecosystem scientists yet one of the most difficult aims to achieve without reaching outside academia to other actors such as EIA consulting companies, government agencies, businesses or NGOs. Such reaching out requires common goals, which are themselves dependent on strong leadership and advocacy. Who are the individuals and institutions who are taking up this role? Pages 18 to 23 list interesting examples of ecosystem service-based initiatives, both in the public and private sector. Shifting of negative impact: The small scale of most ecosystem services efforts can lead to shifting of negative impact behavior to other regions. Social inequity: Placing a dollar value on something that has been free creates equity concerns and can negatively affect people living in poverty. Decreased cost-effectiveness: Ecosystem services programs may not be the most cost-effective approaches to conservation. Diversion of scarce resources: Focusing on the conservation of an ecosystem service could divert resources from known, tested solutions to unknown, experimental approaches (e.g., restoring mangrove forests instead of building storm walls). Abandonment of established practices: Ecosystem services programs could lead environmental groups to abandon other forms of environmental conservation that have worked in the past. Lack of biodiversity conservation: Ecosystem services programs do not necessarily lead to biodiversity conservation and may negatively affect full, native biodiversity. Unknown, unintended consequences: On a large scale, the risk of unintended consequences becomes a significant concern. Ecosystem services projects could lead to unpredicted, unknown, and irreversible outcomes.